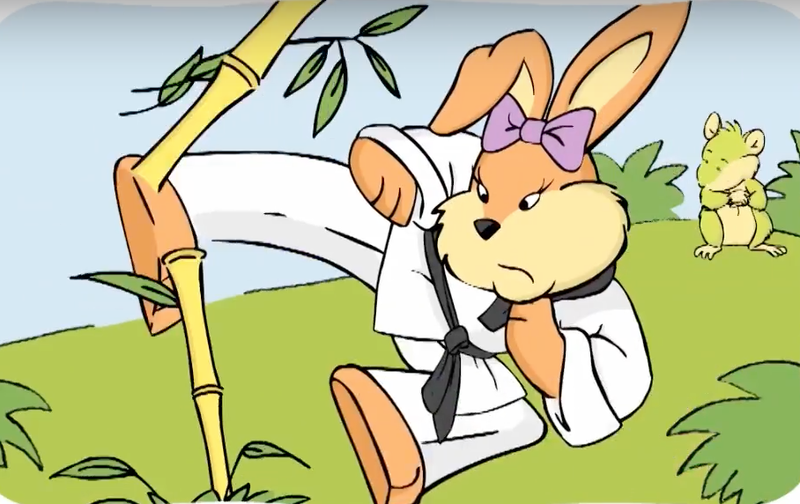 Fujimini Adventure Series: Meet Fujimini Island's Orange Bunny! Meet Fujimini Island's Orange Bunny! 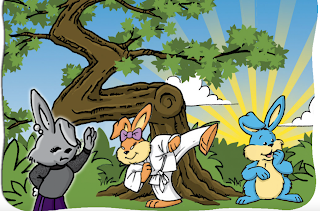 Orange Bunny is a taekwondo master. 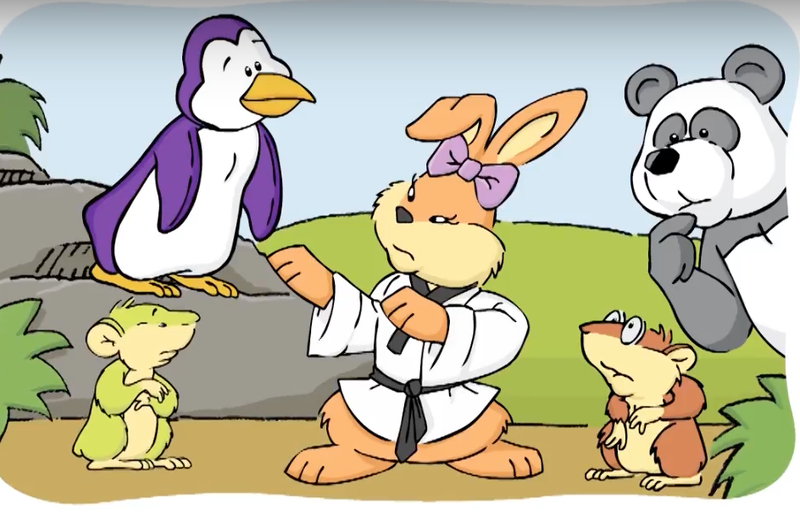 She teaches taekwondo to all the other animals on the island. They love it! 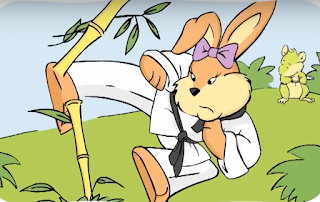 Although Orange Bunny looks sweet on the outside, she is very strong and quick. I would not get her mad if I were you. However, she believes that fighting is only necessary when it is the last option. Problems should be solved through patience and understanding. 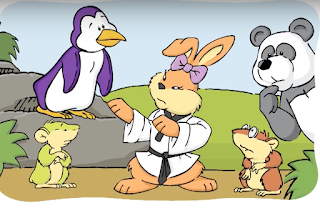 Her skills came in handy when she was able to help the animals build a raft to help the tortoise samurai. Orange Bunny is a great friend to have because she helps you find strength in yourself to help solve problems. She is powerful, but sweet and humble. Meet Fujimini Island's Silver Bunny!